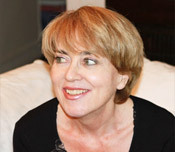 Anne-Marie Le Gloannec ist Forschungsdirektorin am Centre d'Études et Recherches Internationales (CERI), Sciences Po, Paris. Finally, the EU has woken up to geopolitics. Most crucially, the government in Berlin shed the last glimmer of hope it entertained when it was dreaming that the man in the Kremlin might be amenable to dialogue and win-win reasoning. But the EU policy in the European East is still lacking strategic thinking. Before revamping any European Neighborhood Policy, it is a strategy vis-à-vis Russia that is in dire need.Finally, the EU has woken up to geopolitics. Most crucially, the government in Berlin shed the last glimmer of hope it entertained when it was dreaming that the man in the Kremlin might be amenable to dialogue and win-win reasoning. But the EU policy in the European East is still lacking strategic thinking. Before revamping any European Neighborhood Policy, it is a strategy vis-à-vis Russia that is in dire need.